How to begin a cryptocurrency portfolio? Why should you invest in cryptocurrency? To put in the most blunt manner, its value is increasing day by day. Any asset whose price is going up is a valuable one. Let us take the example of Bitcoin, probably the most popular cryptocurrency. It made many headline and many eyes pop when its value hit an all time high of $ 19,783.06 in the last month of 2017. This was almost three times its value in 2016. So, cryptocurrency is a relatively new class of assets that is defined by the following virtues. If you are successful in managing the addition of cryptocurrencies over a extended time frame, it can increase the overall risk-adjusted returns of your portfolio. How much should the investment be? Your cryptocurrency investment portfolio depends on your overall investment portfolio and how it fits in this broader investment portfolio. If your are in the later stages of your career or is planning retirement soon, the investment should be viewed with caution. Such investors should invest a small allocation from their earnings that would not exceed 0.5% of their overall income. If your younger and have recently launched your career, you would have a long way to go till retirement. You can opt for a greater slice of the investment pie and opt to invest upto 5% of your total earnings. In Whichever category you fall, make sure you stick to the golden rule of any investment : NEVER INVEST MORE THAN YOU CAN AFFORD TO LOSE. While investing in cryptocurrency, you need to be equipped for the volatility and declines in the value of your blockchains, at times amounting to more than 50 percent at times. The frequencies of such volatility and declines would be high in case of cryptocurrency investments. After all this while, if you are still confused on how much to invest, we suggest you set aside around 1% of your earnings, that you would probably allocate for your riskiest investments. You can buy cryptocurrency from any of the cryptocurrency exchanges. The most popular ones are Gemini, Coinbase, Kraken, CEX.io and Bitstamp. You should always look into the following factors while selecting a cryptocurrency exchange. Is it a regulated financial institution? Does the exchange charge high commissions for the trading? Know more about cryptocurrency exchanges and the most popular ones. If you are planning to develop your own cryptocurrency exchange platform. Contact CryptoSoftwares for Cryptocurrency and Blockchain development. What should you invest in and why? Before you take in the plunge and make your first investment, you should follow certain principles. Otherwise, you would just be a sheep following the herd and be gambling. You would eventually learn to develop your own set of principles while going for an investment, but you can begin with the following. If not through, you should have a basic knowledge of what you are in for.The better your understanding of the technology and its functioning, the better it will help you make your investment choices. Well, this will not be there on any other list but you must be really humble and understand that your knowledge of the trade is not all there is to it. You should remember that you are not smarter than any market. The investments that you make in cryptocurrencies will be a valuable addition to your broader portfolio, which you will have to manage in the long run. There are two types of orders. 1. Market orders in which you buy or sell at the best available price. 2. Limit orders where you mention the price that you want to buy the coins or sell it , and stick to those prices. Limit orders will ensure that you get your specified price. If you want to begin with your first cryptocurrency purchase, follow the steps as described below. 1. First, you have to allocate a specific amount of money to be invested into cryptocoins. If you had already done that, calculate the amount of cryptocoins you can buy with that. ( Multiply the total balance by allocated money, and , divide the limit price). 2. Navigate to the coin market and input a limit Buy Order with the results. 3. Now, it is waiting time! Once the order is filled, cheers! You have bought your first cryptocurrency. Voila, you are done with your starter cryptocurrency portfolio. 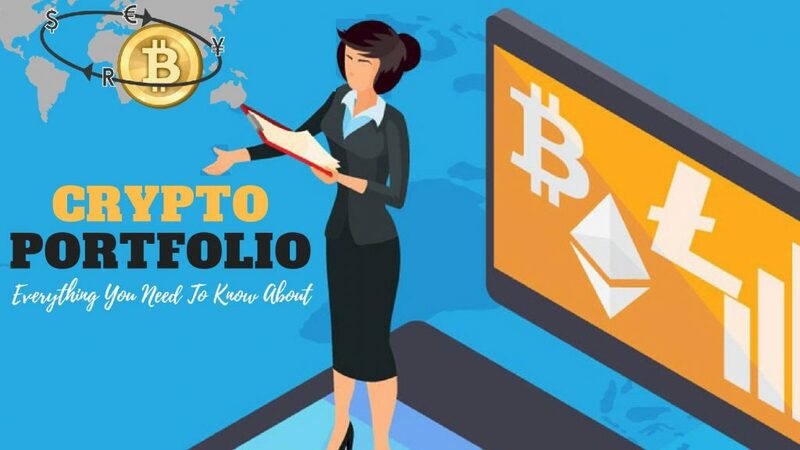 Once you are past your beginner days and gained enough exposure to how things are done in the blockchain assets and cryptocurrency scenes, you can expand your portfolios to new directions. Who know, one day you can afford a world tour with your cryptocurrency earnings but till then, you have to sit back and consider this as a responsible allocation in your broader investment portfolio. You can track your Crypto Portfolio Performance. Share your portfolio and other ideas in the comment section below.